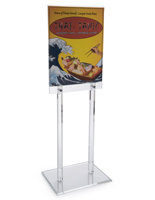 Display Rack - This display rack and poster unit stands 67" tall and holds (2) 22"w x 28"h posters for double sided viewing. 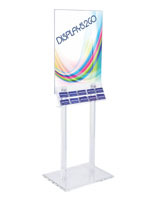 This acrylic poster holder stand moves freely on (4) locking casters. 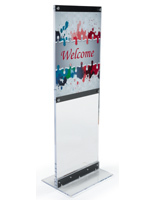 Upscale, thick, polished acrylic draws attention to your posters and brochures! Easy assembly required, all hardware provided for this floor display. Base dimensions are 24" wide by 18" deep. Ships in two boxes. 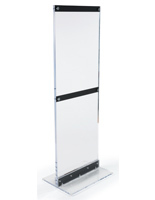 Our floor standing acrylic poster display series are also available in wall mounting and ceiling hung models. 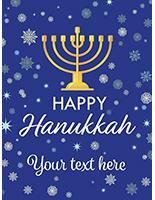 See our "Related Product" section below where we offer a wide variety of pre-printed posters for Financial and Marketing based businesses. Also available in many stationery versions, see related items below. 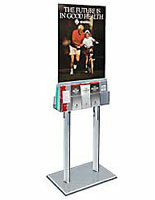 Great as a lobby display, hotel display, or a brochure holder display. 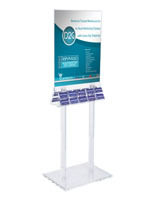 Great Poster Stand, Solid Construction, Looks Great! 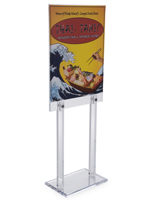 We're super happy with this poster stand - it is utilized quite a bit for events at our building and we needed something that would hold up to the foot traffic and constant movement of the sign. Nice poster size and it's elevated height is nice for our guests when there is a crowd and you need to sign to be seen from far away. We have the same one without wheels and this model will be utilized more often due to ease of use. Thank you Rachelle! We're glad that you were fully satisfied with it!